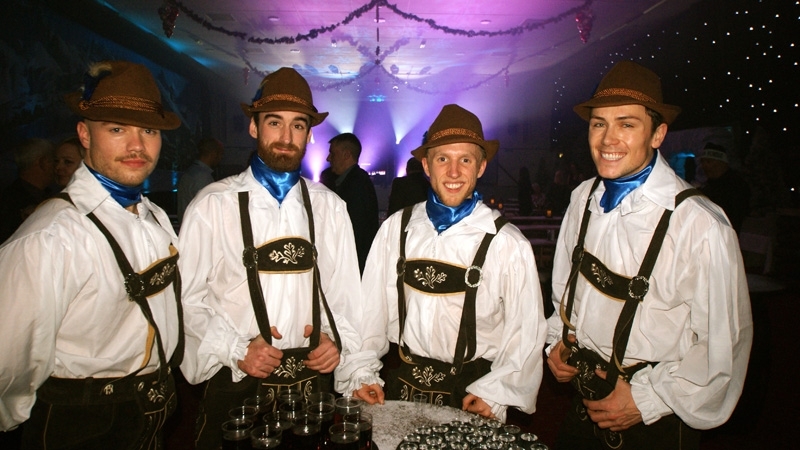 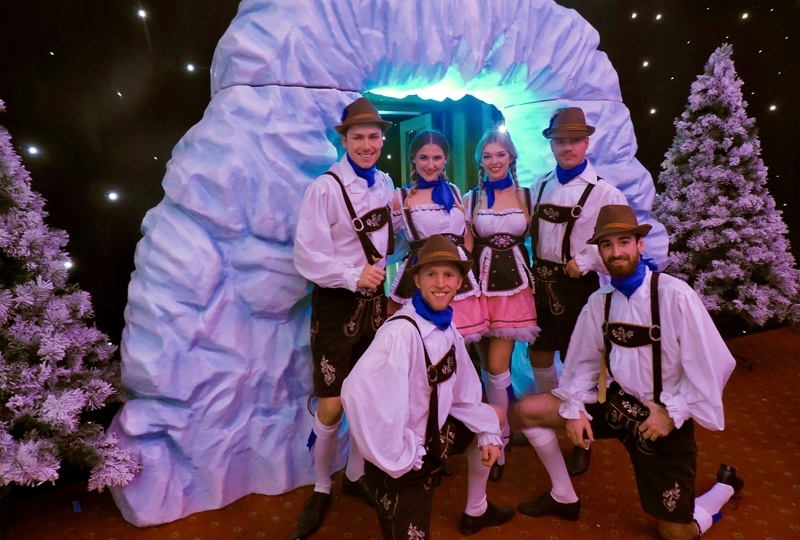 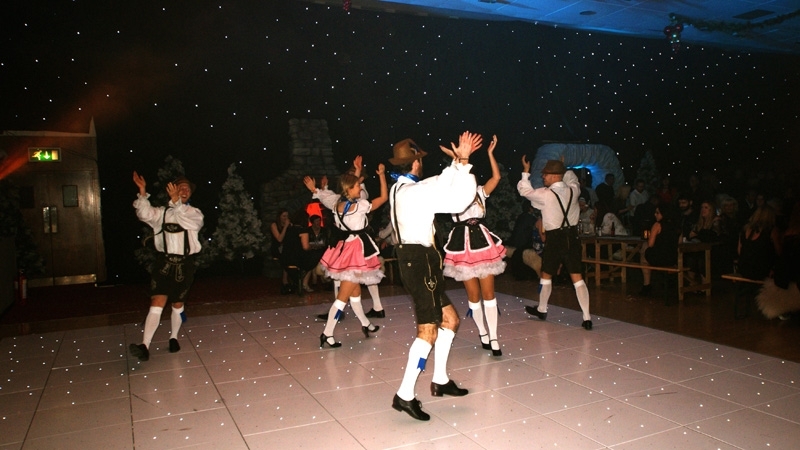 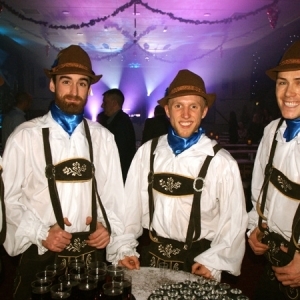 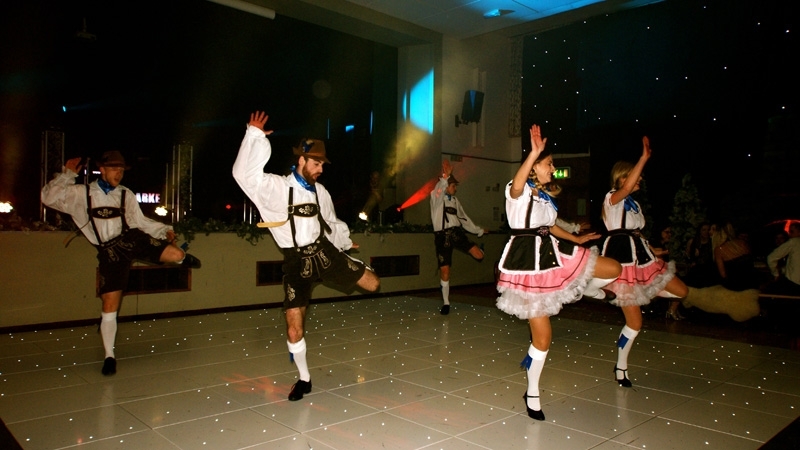 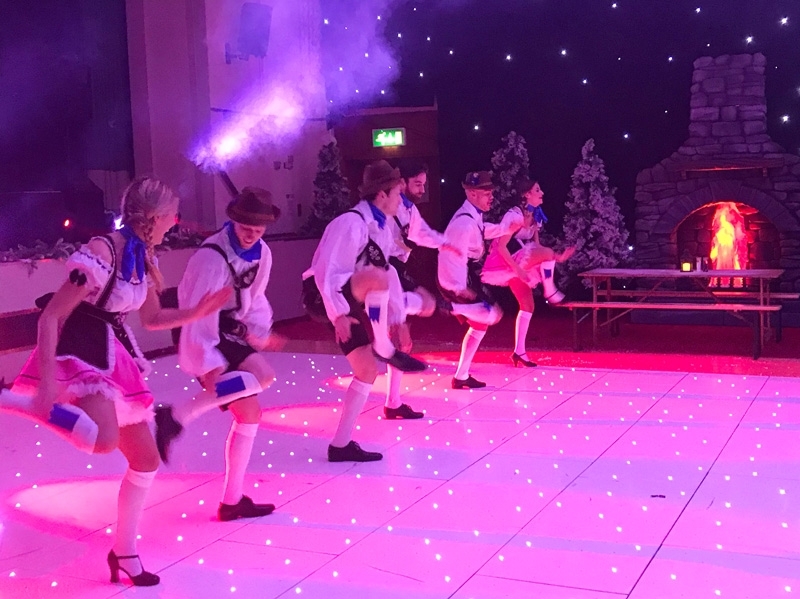 Our traditional Bavarian dancers are a great edition to any Oktoberfest celebration or Alpine themed event. 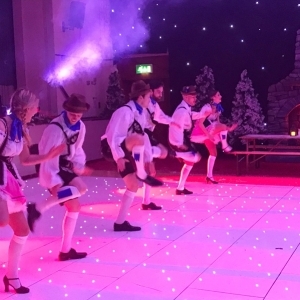 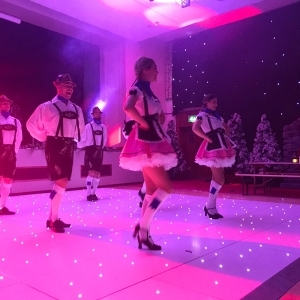 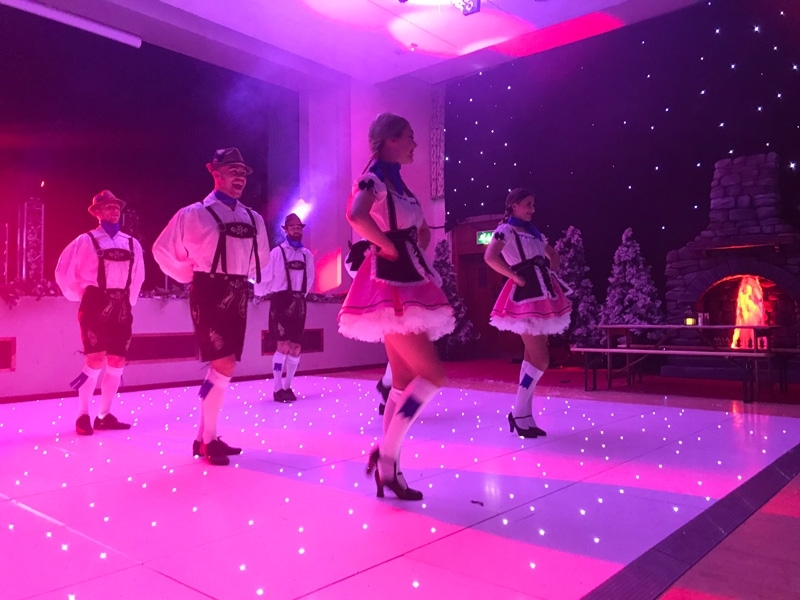 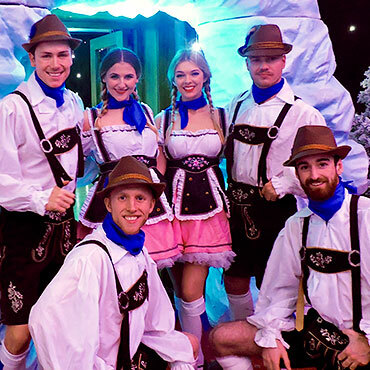 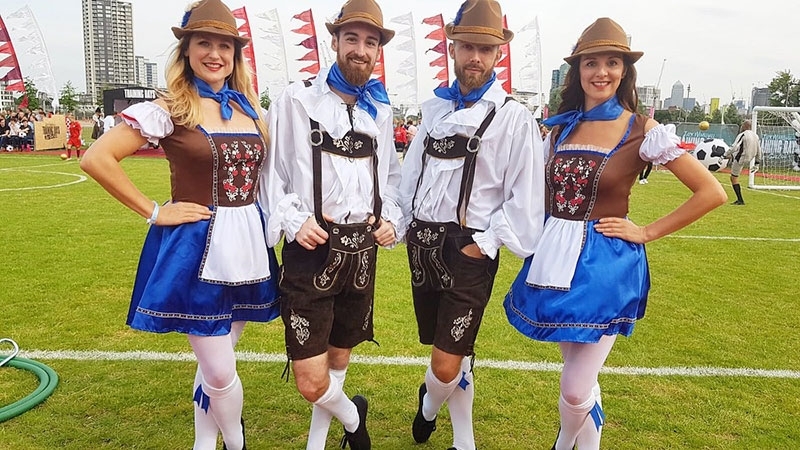 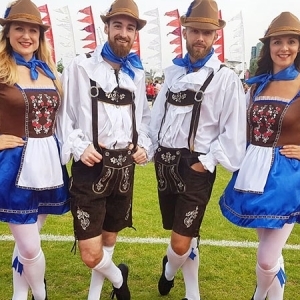 Featuring a mix of both Bavarian and Austrian folk dance and the iconic thigh slapping Schuhplattler, our lederhosen clad dancers can perform a series of routines. 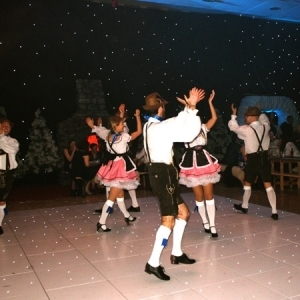 Why not include some audience participation with a fun workshop to teach your guests some Schuhplattler clapping combinations? 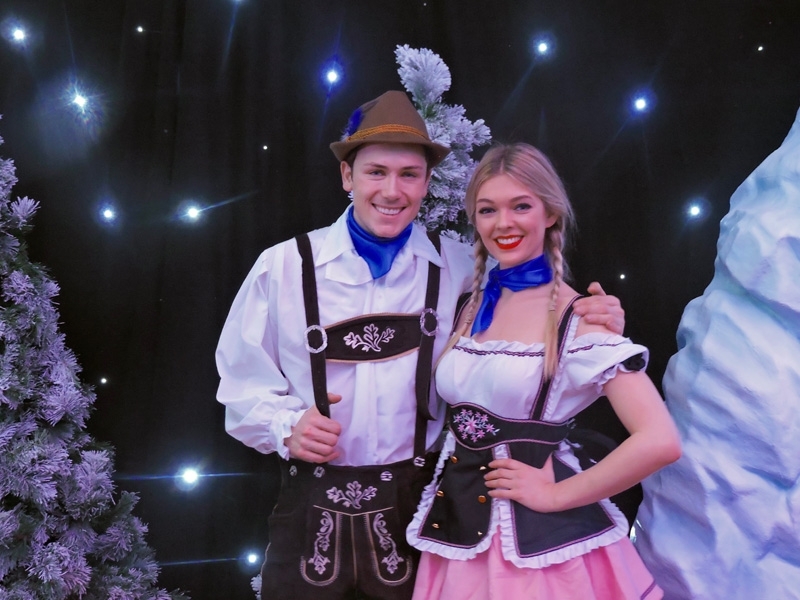 The dancers can also meet and greet guests on arrival and pose for photos and can even distribute steins of beer or a warming shot to help get everyone in the party spirit!